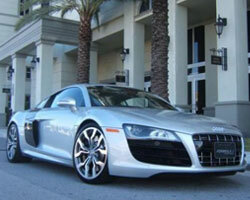 Car rentals in Alexandria LA offer a wide array of vehicles from various car rental agencies. For those coming to Alexandria by air, picking up your car rental at the airport is often the easiest and fastest way to get started on your adventure. The airport is the most popular pick up and drop off point for many travelers as they can quickly obtain their reserved car rentals in Alexandria LA and head off to their hotel room or get to their plane in plenty of time before departing. Alexandria Regional Airport located at 1100 Frank Andrews Blvd. offers four car rental companies with counters inside the terminal. This makes it very simple for travelers to find their car rentals in Alexandria LA. The four car rental agencies include Avis, Budget, Hertz, and National. Even though these car rentals in Alexandria LA offer in terminal counters, they also offer off terminal locations for pick up and drop off. This is convenient for customers that are not returning to the airport and wish to drop off the car rental at a different location. If you prefer to pick up your vehicle through a different company or just a different location, you can also find several car rentals in Alexandria LA throughout the city. Examples of vehicles along with prices for car rentals in Alexandria LA for one week in February are listed below. The following rates and vehicles are the most popular car rentals in Alexandria LA with pick up at Alexandria Regional Airport, their prices were used for comparison purposes. The prices may not be the same if you choose a different location for pick up or drop off the car rental. Avis has car rentals in Alexandria LA such as standard for $195, full size for $200, premium for $230, minivan for $290, and standard SUV for $275. Budget offers an economy for $168, a compact for $173, intermediate for $187, standard for $185, full size for $200, premium for $230, standard SUV for $255, mini passenger van for $265, and a full size special for $340. Hertz has car rentals in Alexandria LA available including a full size for $246.49, standard for $246.49, midsize for $236.49, compact for $213.49, and an economy for $210.49. National offers car rentals in Alexandria including an economy car for $150.14, a compact for $155.07, midsize for $174.78, standard for $189.57, full size for $194.50, premium for $224.08, standard SUV for $268.44, 7 passenger minivan for $283,23, full size crossover for $355.24, premium crossover for $382.00, and a premium pickup for $382.00.